Born Neymar Da Silva Santos Junior, Neymar’s life is as poignant a story of overcoming obstacles that you'll ever come across. Born into a humble family, he rose like a phoenix to become one of the most sought after and praised player in the game of soccer. Born 5 February 1992, Neymar was a football prodigy from the very early days of life. However, his life was not an easy one. 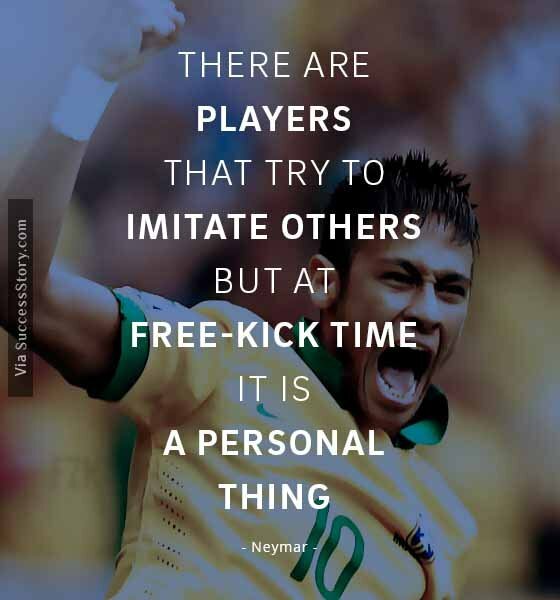 "There are players that try to imitate others, but at free-kick time it is a personal thing." He started to grow leaps and bounds in his school team and gradually got upgraded to the youth team of Santos. Rising steadily through the ranks, all with his incredible skills with the foot and a knack of scoring goes, Neymar Jr's first professional debut came on 7 March 20009. The rest, as the adage goes, is history. 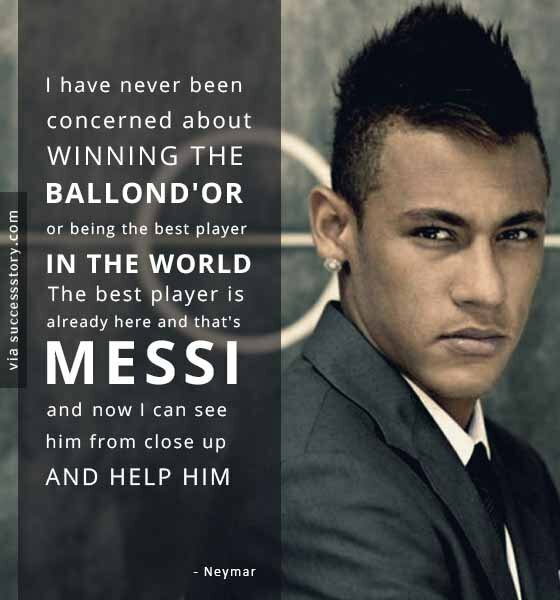 Neymar went on to play for Barcelona alongside his idol Lionel Messi. 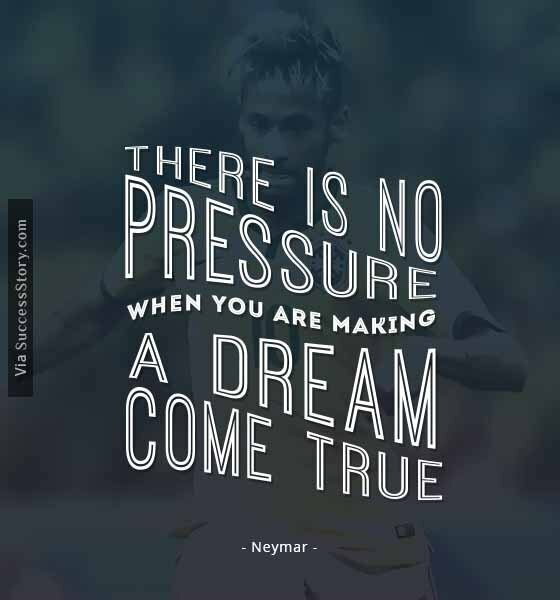 While there are many rags-to-riches stories of football stars, what makes Neymar's journey a special one is his willingness to rise beyond the prosaic of circumstances and a total commitment to his game. The lesson everyone can take away from Neymar Jr's story is this: A common man's hard work and respect for the gift he was bestowed with set him to a path of cementing his name in history. 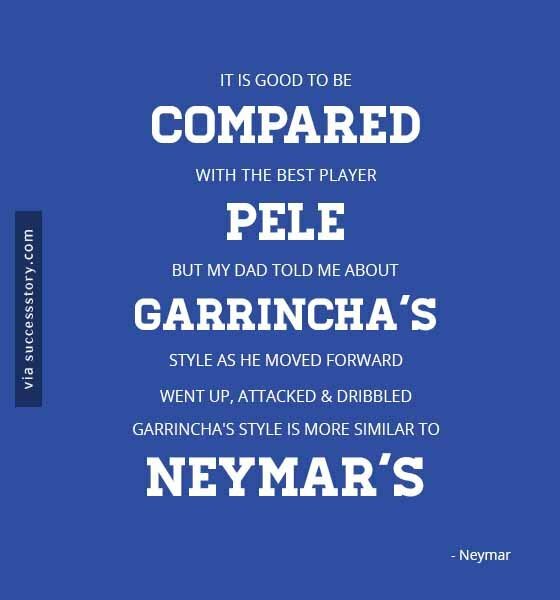 Neymar is a name vision that inspires a nation - which was evident when he took the centre stage at FIFA World Cup 2014, where his every move drew a sigh and every goal, a loud applause.